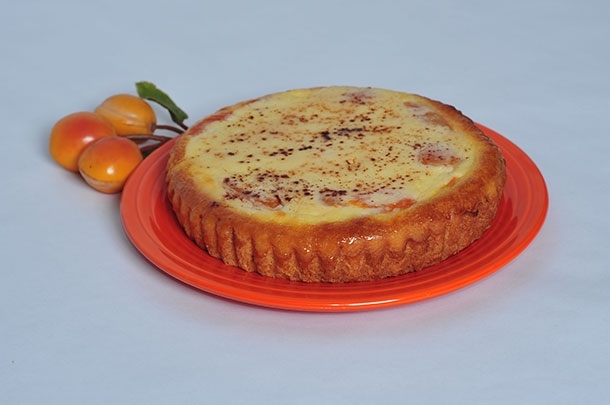 Canned apricots used for this kuchen. Another traditional flavor. Dried apricots can also be used, if you request dried. Cinamon and sugar sprinkled on top.